By Tim Royner: IBF World light heavyweight champion Artur Beterbiev (12-0, 12 KOs) will be defending against unbeaten Callum Johnson (17-0, 12 KOs) on October 6 at the Wintrust Arena, in Chicago, Illinois. Beterbiev needs to win this fight to get to the huge unification matches that he’s interested in. Johnson, 32, has a real chance to shock the boxing world if he can beat the undefeated two-time Russian Olympian Beterbiev. Johnson believes that he punches with as much power as Beterbiev. That may be true, but it doesn’t mean he has the same chin or the same boxing ability. Beterbiev is by far the best fighter that Johnson will have faced. Johnson doesn’t have the same amateur background as Beterbiev. If he’s going to win this fight, he’ll need to show some ability that he’s kept in the dark. On paper, this is an easy fight for Beterbiev. Johnson is the type of opponent that Beterbiev has destroyed in the past. 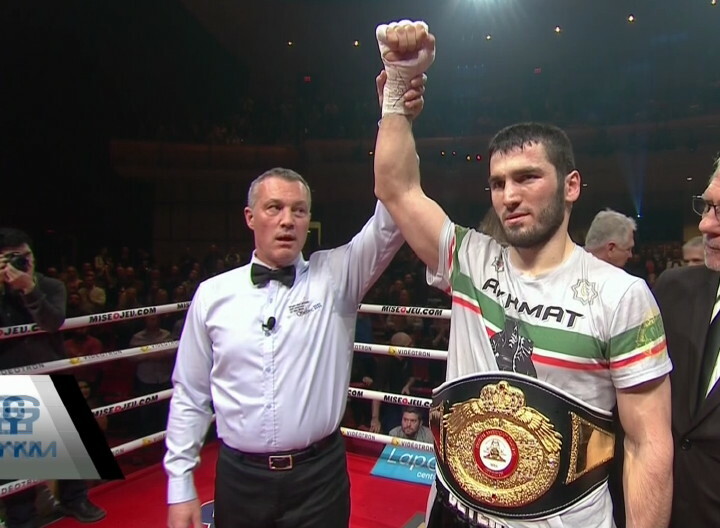 What we don’t know is whether Beterbiev will be affected by his inactivity in the last two years due to promotional and injury related problems. This is a DAZN card promoted by Eddie Hearn of Matchroom Boxing. Hearn has signed some notable fighters to his promotion to fight on his DAZN cards. Now it remains to be seen whether he can attract U.S boxing fans to subscribe to his service. Jessie Vargas, Jarrell Miller and Demetrius Andrade, Beterbiev are decent names, but they’re not guys that will likely attract a lot of subscribers. As you can see, the card is still a work in progress, but there’s still a lot of time left before October, so it’s not a big deal as of yet that Hearn hasn’t found opponents for the major undercard fights. Hearn has got to match Vargas, Miller and Andrade against top notch talents for the card to do well, as the main event between Beterbiev and Johnson likely won’t do much to interest boxing fans. Hearn has his work cut out for him if he’s going to get fans interested in this card. Putting those fighters against soft jobs isn’t going to help. It’s not a good sign that Hearn hasn’t fought opponents for the above named fighters. Vargas is someone that obviously isn’t going to win a world title under Hearn’s watch if he’s put in with the likes of Errol Spence, Terence Crawford, Keith Thurman, Shawn Porter and Danny Garcia. « Liam Smith says Jaime Munguia will be there to be hit on Sat.